Call in between 6-7 PM December 17th, 18th, 19th, 20th & 21st! Give Santa & Shelf KeeKie the Elf your Christmas list! 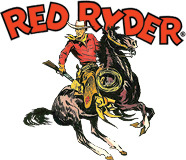 Just by calling you you get a chance to win an authentic Red Ryder BB Gun!